Netflix's Luke Cage is full of Easter eggs, if you know where to look. Die-hard comics fans picked up on deeper-cut in-jokes, everything from Misty’s bionic arm and glorious afro to Luke’s original, ridiculous 1970s costume. 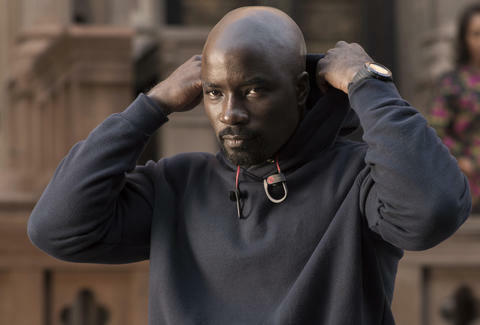 For those wooed by Marvel's movie and TV pedigree, there are traces of the ever-expanding "Cinematic Universe," crossover potential that ties Luke Cage to the past and future of the mega-franchise. Nearly 10 years after the MCU kicked off with 2008's Iron Man, Luke Cage represents the most laid-back, lived-in Marvel property to date. The show's version of Harlem and the characters that inhabit the neighborhood feel real in ways the big- and small-screen adaptations don't. This is especially true of Daredevil and Jessica Jones. While they make cursory mentions of other heroes (although never by name), each series treats Hell's Kitchen like a snow globe. They share a universe, but not a world. Remember that time our lives were forever changed? Despite the decimating events of The Avengers (not to mention the billion-dollar box office business), it’s easy to forget that hordes of aliens poured into New York City and wreaked havoc back in 2012. Calling it "The Incident" on Netflix-Marvel shows makes it seem like it was an embarrassing case of food poisoning, not an apocalyptic-level event. I’m not saying that we need everyone constantly talking about it, but it’s odd how much that feels like an afterthought in Daredevil and Jessica Jones, referred to by characters like it was a passing storm. The cataclysmic event plays a pivotal role in Luke Cage. We see how The Incident leaves the men and women of Harlem with a variety of different opinions on the roles of superheroes. Local politician Mariah Dillard (Alfre Woodard) uses it to make Luke more terrifying. Cottonmouth mockingly calls Luke "Harlem’s Captain America." More important, it’s the alien tech left over from The Incident that leads to the creation of the Judas bullets, which have the ability to penetrate Luke’s skin. Without The Incident itself, Luke Cage wouldn’t even have a plot. 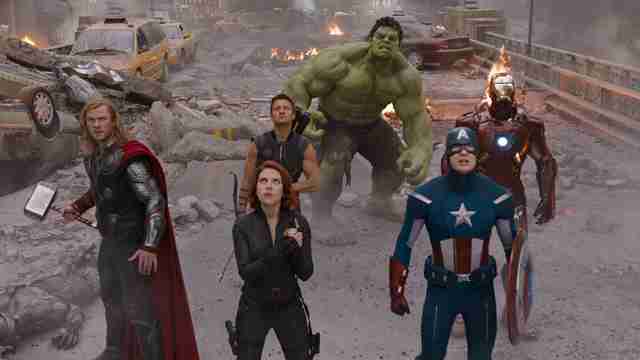 While the series continues the tradition of underplaying the more fantastical aspects of its premise, it’s nice to finally see the rest of the MCU having a direct ripple effect on the world of the street-level heroes. 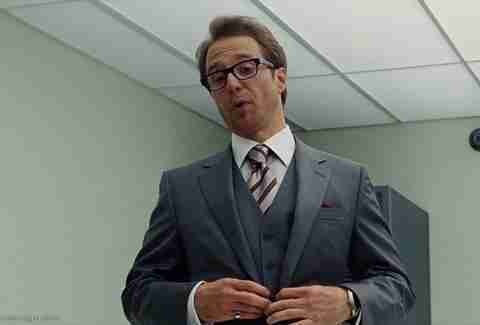 While we never see Sam Rockwell’s overly tanned Iron Man 2 villain make an appearance, Cottonmouth spends the first half of the season scrambling to retrieve guns made by his company, Hammer Industries. Hammer's company also forges the Judas bullet, which gives Diamondback, revealed to be Luke’s half-brother and a dangerous villain in his own right, the ammunition he needs for the final, double-episode showdown. The reference humanizes a world with superheroes and supervillains. 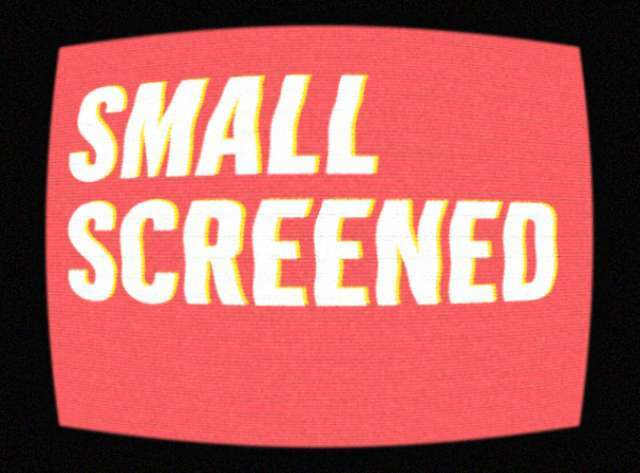 We can meet a kid on the corner selling footage of superhero fights, or see the trickle-down effect of dangerous technology created by evildoers that made their debut on the big screen. 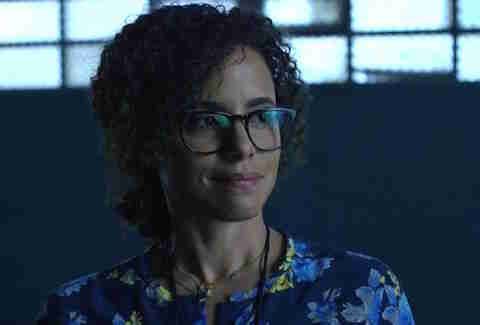 When Reva Conners was introduced in Jessica Jones, she played one of the more odious roles in comic books: the character solely introduced to be killed and create angst for the lead (in this case, the grizzled private detective Jessica Jones). Coming into Luke Cage, I wondered how would the series rehabilitate Reva as more than a living inciting incident. In the fourth episode, we get to see Luke’s origin story, which includes how he met and fell in love with Reva, a psychiatrist at Seagate. She proves to be a kind, dedicated, and intelligent figure who brings hope to Luke. Reva becomes more complicated when Luke learns she was lying to him the entire time. She knew about the experiments, and even studied him during his prison stint. As Netflix's shows continue, I suspect Reva’s death and reasons for crossing paths with Kilgrave in Jessica Jones will take on new meaning. Turk, gun dealer, all-around hustler, and Daredevil's favorite punching bag, becomes an integral supporting player in Luke Cage when his eagerness to make a buck leads to the death of Pop. Considering his reaction to Harlem’s own upheaval, he’ll probably find himself back in Daredevil’s territory by Season 3. And Turk isn't the only Daredevil character to cross over: ADA Blake Tower shows up during the final arc, and Punisher gets his get-ready-for-my-spinoff mention. Then there's Claire Temple, who is all over the MCU and never in the spotlight -- crazy, considering Rosario Dawson is one of the best actors in the Marvel arsenal. Luke Cage makes great use for her; without Claire, Luke would probably be dead. Though not referred to by name, Jessica comes up when Claire jogs Luke’s memory on how they know each other. But Jessica's series informs how Luke Cage approaches "real" heroes. It isn’t a coincidence Mariah mentions her snapping Kilgrave’s neck as a way to ramp up the fear the people of Harlem start to feel about these super-powered beings. Speaking of Jessica Jones, at the beginning of Episode 6, there’s a radio show in which citizens from Harlem discuss whether Luke is a valuable hero or a menace. The show happens to be Trish Talk, whose host is Jessica’s best friend and (hopefully in the future) the hero known as Hellcat, Patricia “Trish” Walker. It’s a subtle nod, as well as one of the most cringe-worthy uses of a exposition-spouting reporter on the show, which is really saying something. Fact: Marvel movies have weak villains. The Netflix shows have fared better with Daredevil's stylish Wilson Fisk and Jessica Jones' Kilgrave, the embodiment of toxic masculinity. 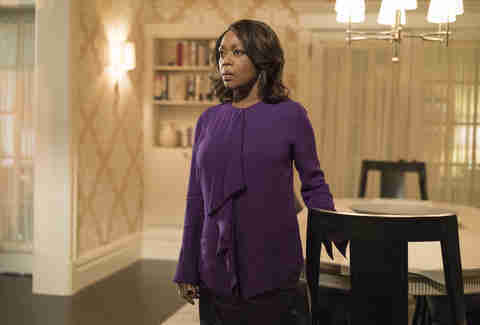 The best Marvel villain to date is Alfre Woodard’s Mariah Dillard, a 60-something black woman who uses her position as a city councilwoman to hide her questionable dealings. Mariah is more than just complicated: she’s ruthless, cunning, and not to be underestimated. Cottonmouth and Diamondback have vendettas, while Mariah is a warped reflection of Luke, a true Lex Luthor-Superman dynamic for the class structure of Harlem. Luckily, she's alive, more threatening than ever, and well-positioned for a Defenders appearance. On multiple occasions when Luke is in trouble, Claire mentions "knowing a good lawyer," a reference to Matt "Daredevil" Murdock. But hold on: is he really a good lawyer? Luke will certainly need his assistance, seeing as the show ends with the hero heading back to Seagate after his cover is blown. Is this the way 2017's team-up series, The Defenders, comes together? We'll ready ourselves for the Foggy storyline. At the very end of the season finale, Claire takes a number off a flyer she finds on a telephone pole. You wouldn’t think much of it unless you noticed that it’s an ad for Colleen Wing’s martial arts class. Colleen is a master samurai who will be played by Jessica Henwick in the upcoming Iron Fist series. Will Claire be the thread that ties all these series together? It’s hard to imagine Iron Fist existing in the same world as Luke, let alone becoming good friends with him like they are in the comics. 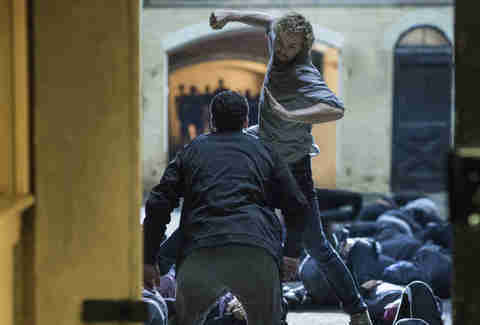 Iron Fist's abilities go beyond mere martial arts and into the magical -- similar to the upcoming Doctor Strange movie. 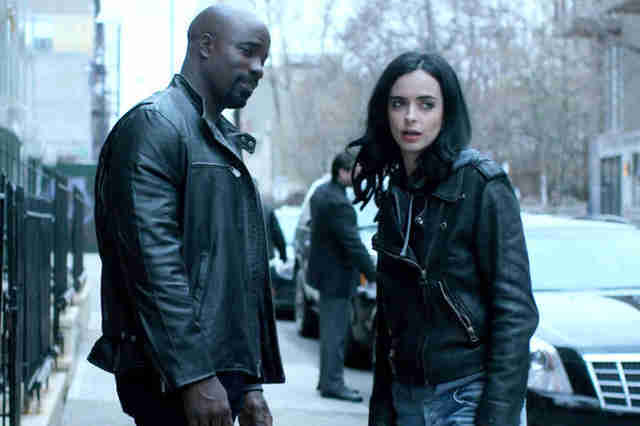 Luke Cage, Jessica Jones, and Daredevil all shy away from the fantastic. So where will these Marvel Netflix shows go from here? As the MCU dictates: together, no matter what. Angelica Jade Bastién is a freelance critic and essayist based in Chicago. She's written for Vulture, The New York Times, The Atlantic, Bright Wall/Dark Room, and RogerEbert.com. You can find her on Twitter: @angelicabastien.